Talk by Prof. Almuth Degener on New Perspectives on Translation Theory and the Politics of Translation, on 01.03.19 at 11:00 AM. TheInternational Francophonie Day was celebrated with the annual cultural festival under the aegis of Confluence 2019. Various competitions were conducted from 28 February onwards culminating on 1 March 2019 with the finals. 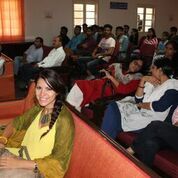 Approximately 300 students from various colleges of the University of Delhi and other universities participated in competitions in areas such as poetry, song, theatre, cuisine, quiz, essay writing, poster making etc. 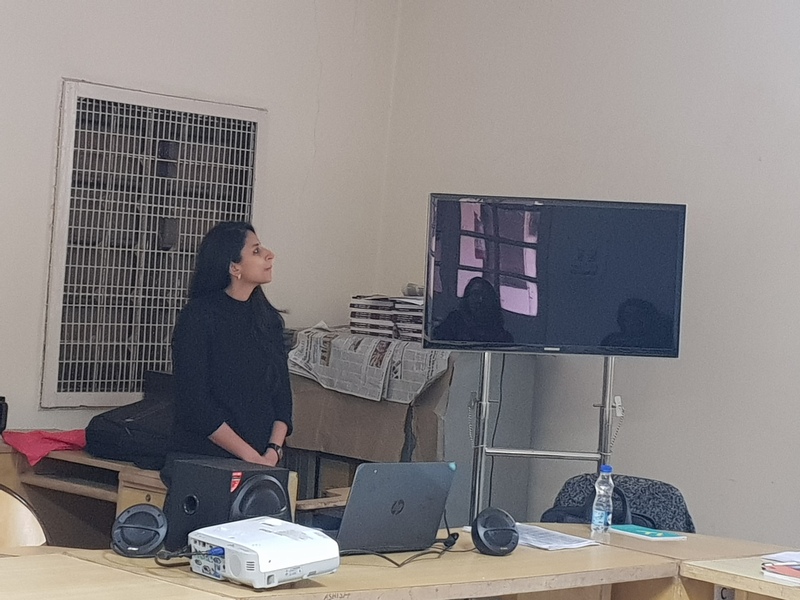 This year the guests of honour included Mr. Dominic Marcotte, Director of Quebec Consulate, Ms. Maryline Laidin, Attaché for Cooperation in the Teaching of the French Language from the French Institute in India, Embassy of France, and Mr. Emile M. Wepesi, and Mr. Mucyo Rutishisha, Deputy Consellors, High Commission of Rwanda graced the occasion. Lecture on “The Concept of Similarity in Comparative Literature” by Prof. Anil Bhatti, Professor Emeritus on 22 February 2019 at 2:00 p.m. Discussion on Italian Language and Culture with Dr. Pietro Sferra Carini, Minister Counsellor and Deputy Head of Mission, Dr. Chiara Petracca, Counsellor, Head of Press and Cultural Affairs, Dr. Valentina Ierna, Director of Unitalia. 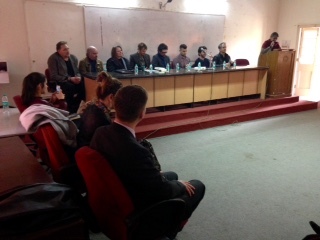 Students of Italian from the Department and the colleges participated the discussions. 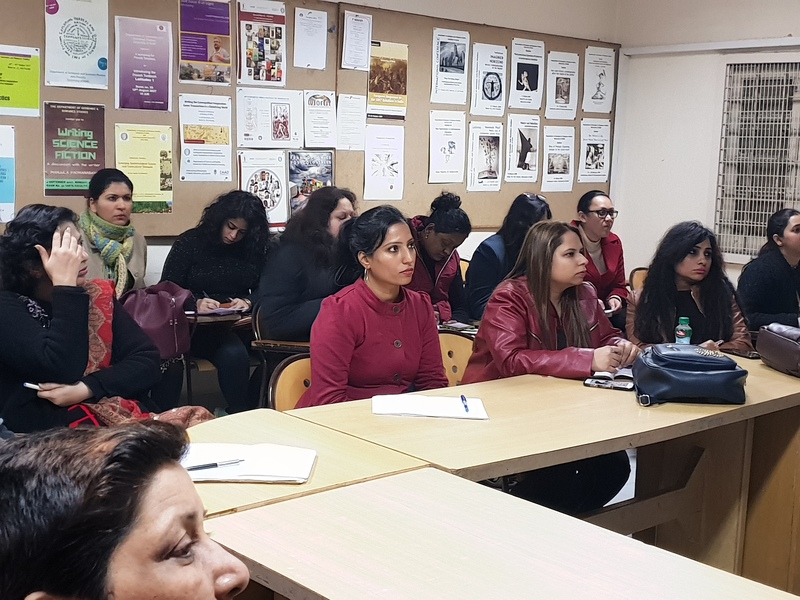 The event was conceived by the Italian Visiting Lecturer Enrico Arman jointly with colleagues from the Italian Section on 19 February 2019 at 11:00 a.m. 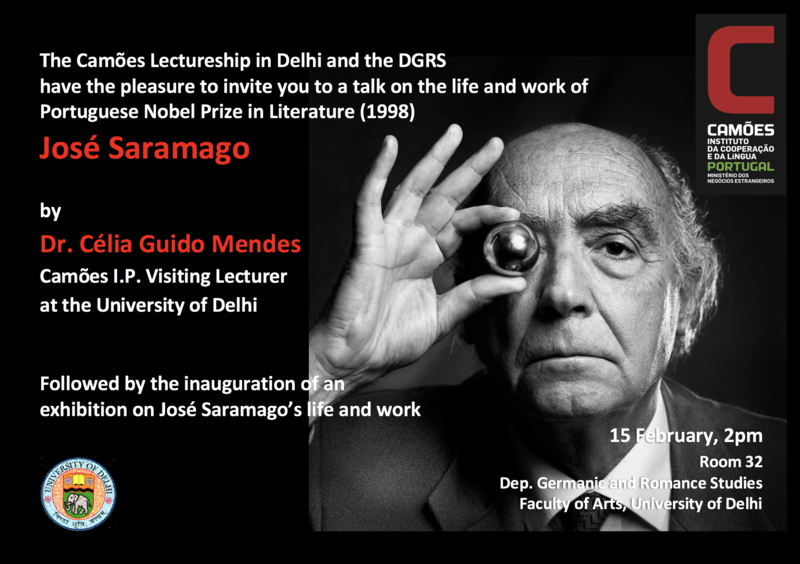 In honour of the 20th Anniversary of the Award of the Nobel Prize for Literature to the Portuguese writer José Saramago, the Department hosted a exhibition on his life and his works. February 14-21. Long Night of Literature on 26 September 2018 at 11:30 a.m. Professor Alfonso Garcia Osuna (City University of New York), "The Impact of the United States Film Industry on Latin American Identity Patterning" and "Suite Habana: Doctrine, Melancholy and Cultural Change in the New Cuba" Tentative Dates: second week of January 2017. Professor Florencia Garramuno (University of San Andres, Buenos Aires), "Experiments in Contemporary Literature" and "Tango Samba, Nation : Cultural Forms and National Identity". Tentative Dates: Second Week of January, 2017. 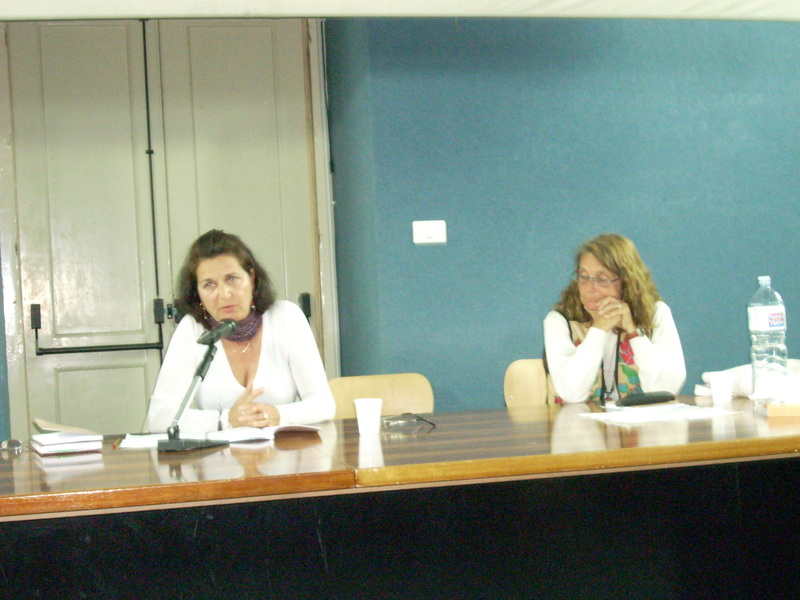 Professor Inmaculada Santos Diaz (University of Malaga, Spain), Workshop on Teaching Spanish as a Foreign Language. Tentative Dates 21-25 August 2016. Talks in February 2016 Dr. Esterino Adami, University of Turin, talk on "The Reinvention of Italian cuisine in Anglo Saxon Imagination".Tentative dates: 20-26 February 2016. 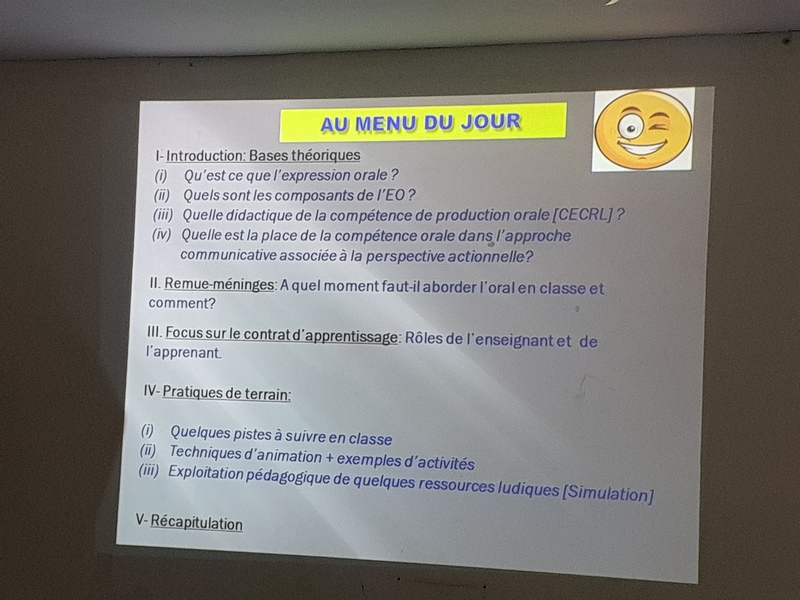 Prof. Claude Chastagner, Director of Graduate Studies in Applied Foreign Languages, University of Paul Valery, Montpellier. Talks on i) May 1968; ii) Impact of Blues Music on Western Sounds. 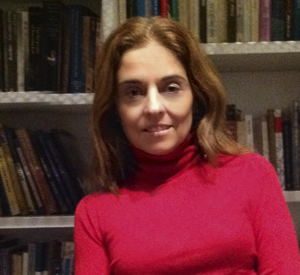 Talk by Valeria Manca (Rusell Liceo, Rome Italy) on 22 December 2015 on "Eroticism and the Feminine in Latin American literature". Visit of Ambassador of Portugal H.E. Jorge Roza de Oliveira for Portuguese day on 24th September 2015. 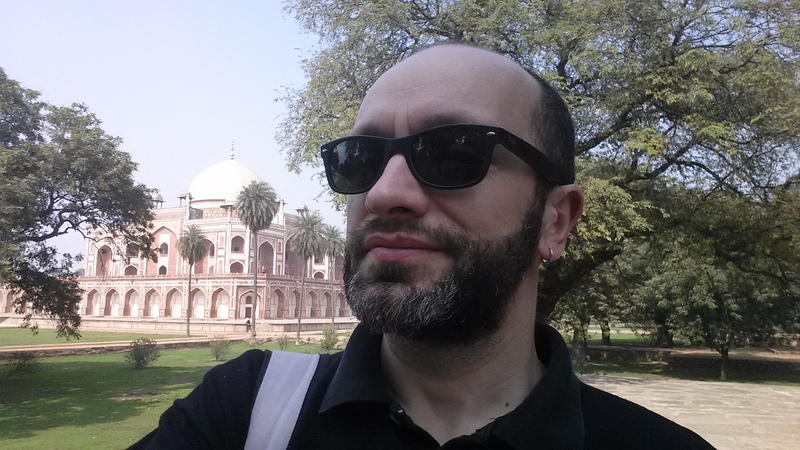 Talk by Andrea Bianchetti (Italian section) on 24th September 2015. Viva of Hemlata Giri (French) on 23 October 2015, 11:00 a.m.
Lecture on Emile Zola by Professor Pages (Professor of French Literature at Sorbonne Nouvelle University, Paris 3) on Wednesday 28 October 2015, 12 noon on the topic : « Zola et l’affaire Dreyfus : le moment de l’engagement » – « Zola et la défense de la liberté d’expression » – « Actualités de l’affaire Dreyfus » – « Les engagements d’Emile Zola : de Germinal à l’affaire Dreyfus ». Lectures by Dr. Dominique de Gasquet 16th to 18th November 2015, All days at 12 noon. 4. Lecture by Dr. Giovanna Minardi, Associate Professor (Latin American Literature) University of Palermo Italy, (Tentative Date between 14-19 December 2015) on Mexican Revolution and Nellie Campobello. The University of Delhi, established on 1st May 1922, has been celebrating its Foundation Day for the last few years. The celebrations this year will be held on Friday, 1st May 2015 at 9.45 am with flag hoisting and followed by a programme at the Convention Hall, Viceregal Lodge, University of Delhi. Professor Upendra Baxi, Former Vice Chancellor, University of Delhi has kindly agreed to grace the occasion as Chief Guest. Vice Chancellor Prof. Dinesh Singh will preside on the occasion.